Wire wheel hubcap, Chrome, "Ford MADE IN U.S.A."
Wire wheel hubcap, chrome plated, Stamped with "Ford MADE U.S.A.". 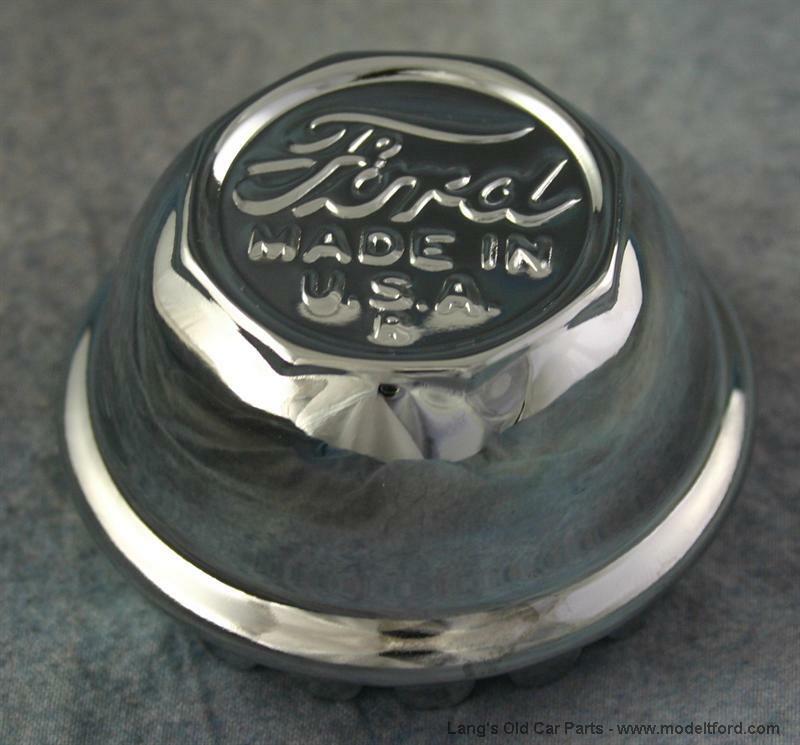 NOTE: Ford originally used nickel plated hubcaps. These chrome plated hubcaps look original in appearance and don't require polishing as the nickel plated ones do. Sold each.